Two men have been jailed for a minimum term - totalling 56 years today - for the murder of a cannabis grower in Luton, they'd set out to rob. 47 year-old Atul Shah, was bound and savagely beaten to death by the two, who had spent the night bingeing on drink and drugs. An exercise dumb-bell was smashed into his mouth with such ferocity that three of his teeth were later found in his stomach. A chemical used for plant growth was poured into the victim's face, amounting to torture, a judge said today. At Luton Crown Court, Kyle Pitchford-Price, 23, of Dovehouse Hill, Luton and Luke West, 23, of Abbots Wood Road, Luton, who had both been found guilty of Mr Shah's murder, were jailed for life. Pitchford-Price was given a minimum term of 30 years and West a minimum term of 26 years. Pitchford-Price's girlfriend Corrina Armstrong, 21, also of Dovehouse Hill, Luton, was convicted of conspiring to commit a burglary at Mr Shah's flat and conspiring to pervert the course of justice by providing her boyfriend with a false alibi. She was sentenced to two and a half years. Both men had blamed each other in court for the murder at Mr Shah's flat in Crescent Road, Luton early on January 6 this year. 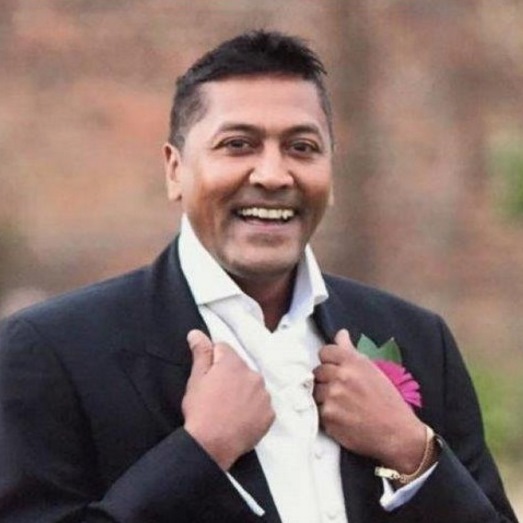 The jury heard Mr Shah (pictured) had set up a mini "cannabis factory" in a bedroom and was in the process of growing 20 cannabis plants under a tent with special lighting and fans. The defendants knew about the crop and decided to rob him. On the night of the killing, they were drinking alcohol bought from a late night store and smoking cocaine and cannabis. With dawn approaching, Pitchford-Price and West made their way to Mr Shah's flat, along with Corrina Armstrong. Only Pitchford-Price and Luke West went inside. They wore gloves, clambered onto a roof and entered via a window. Once they had got in the flat, Pitchford-Price and West overpowered Mr Shah with Pitchford-Price screaming "Where's the weed, where's the money?" Mr Shah desperately tried to tell them he didn't have any money and the weed wasn't ready. His hands and feet were bound with a scarf as they kicked and punched him in the lounge. A broom handle was used to strike him and a kitchen knife, inflicting more injuries on the helpless Mr Shah. A liquid chemical used to encourage plant growth was poured over his face. The flat was ransacked. Drawers were turned out as the pair searched for any drugs and valuables, but they left empty handed. In the witness box Pitchford-Price claimed he had never been to Mr Shah's flat. West admitted he had punched Mr Shah twice, but said it was his co defendant, Pitchford-Price who had used extreme violence on their victim. Judge Richard Foster, the Recorder of Luton, told Pitchford-Price and West: "I am satisfied you were both in it together and both inflicted violence. The attack must have gone on for 30 minutes or more. "You left him to die. I am satisfied you did not intent to kill, however death was likely due to your acts of extreme violence. I regard it as torture to pour chemicals into the face of an incapacitated man." Setting a minimum term of 30 years for Pitchford-Price, he told him he had shown "absolutely no remorse." He accepted West has shown genuine remorse, but said "remorse cannot put the clock back." West received a minimum terms of 26 years.